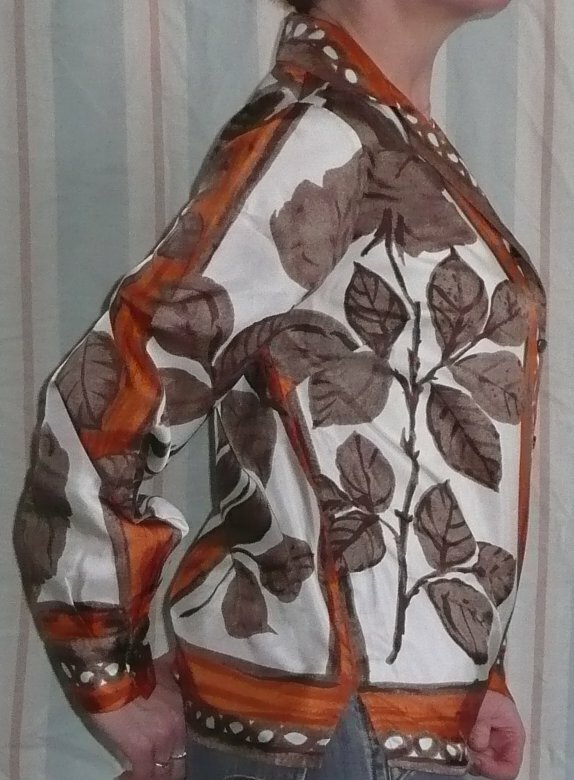 Vintage late 50s M&S orange/brown blouse. 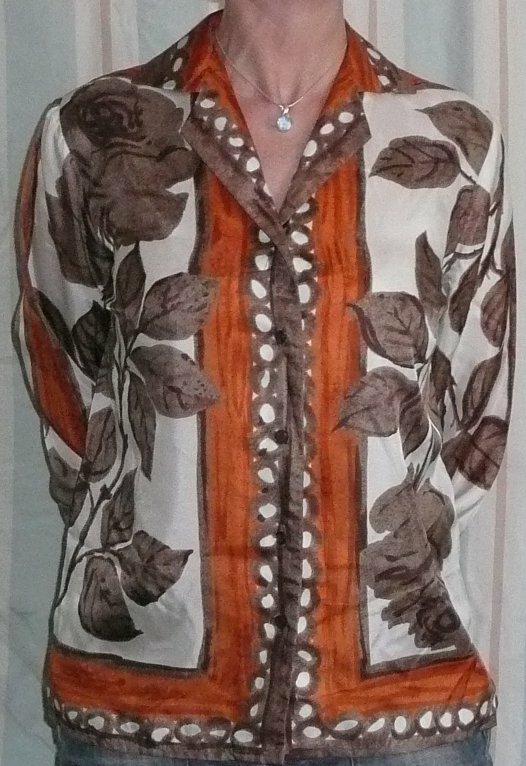 Lovely soft 'n' silky tunic-style blouse from St Michael, in gorgeous autumnal colours! 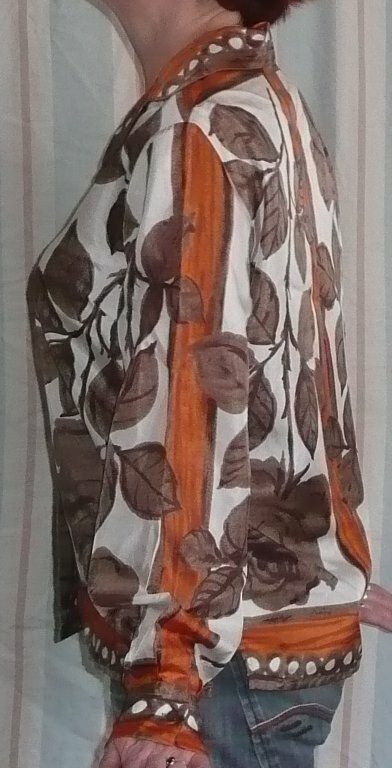 Designed to hang, rather than fit, it has a little collar, buttoned cuffs, a vee neck, and a square hem with side vents. 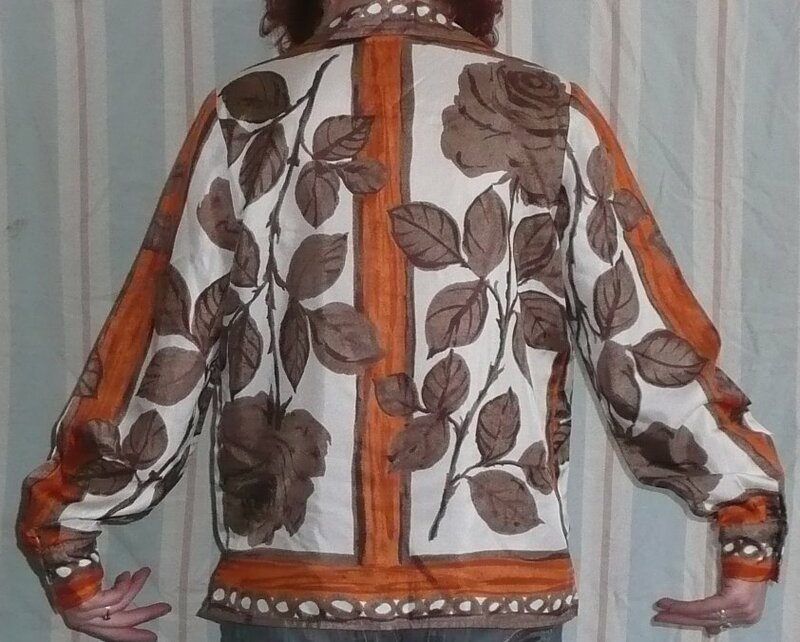 The design is of (rose?) leaves (there appear to be thorns!) 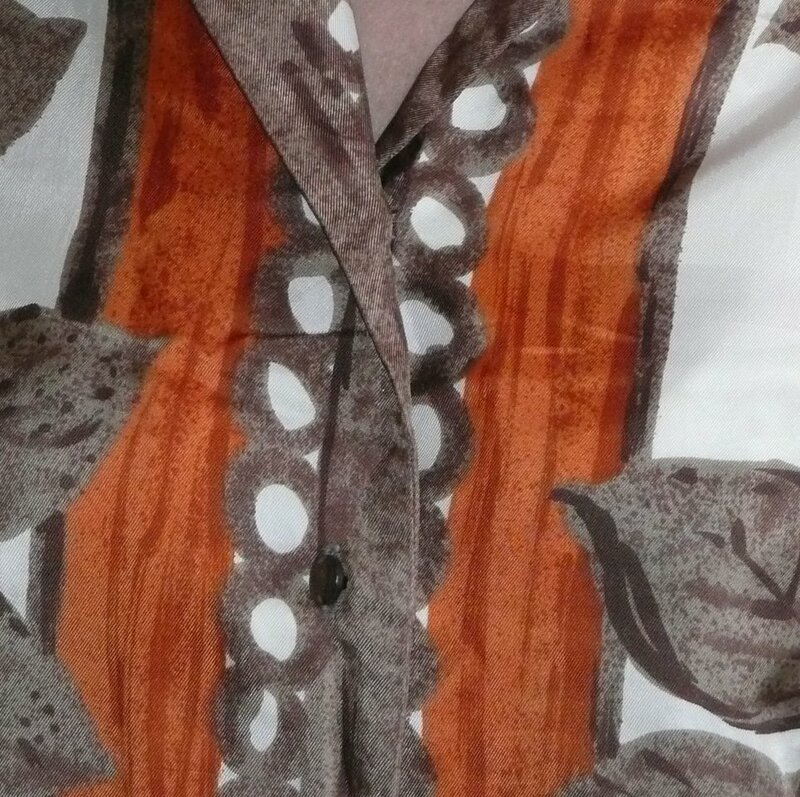 in shades of brown, on a creamy-white ground, with orange and brown borders - the whole having that somewhat 'hand painted' look so popular in the late 50s and early sixties. 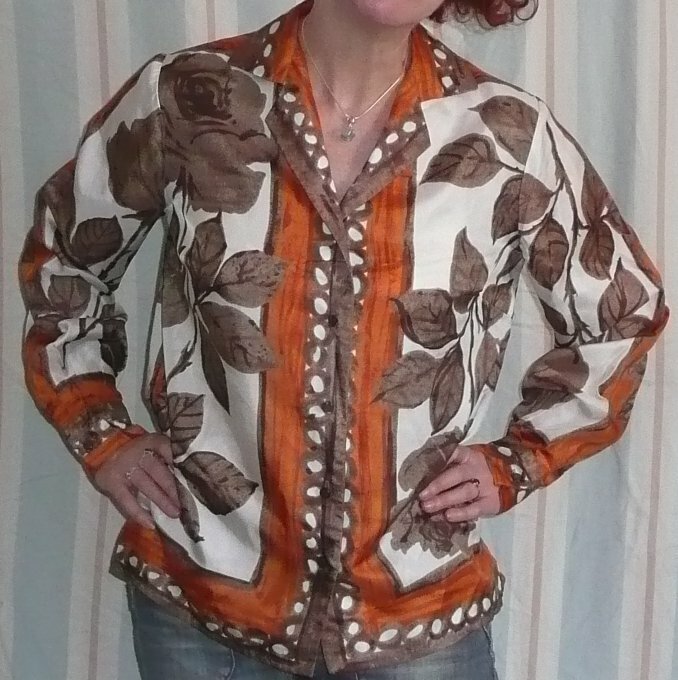 In, as far as I can tell, perfect condition, it feels lovely on and has years of wear left in it! 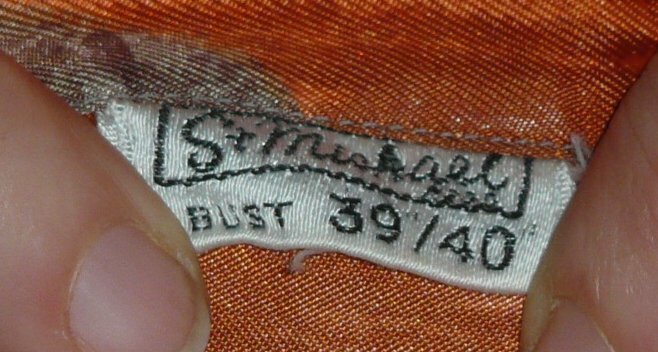 Labelled 'BUST 39"/40"', it's closest to a modern UK size 12-14; approximate measurements are 42 ins/106.5 cms under the arms; arm seams are 25 and 18 ins/63.5 and 46 cms (including cuff); length from back of neck 25 ins/84 cms.